This one was really fun to draw. It was a surprise to see that I was reflected twice, right-side-up and upside-down. 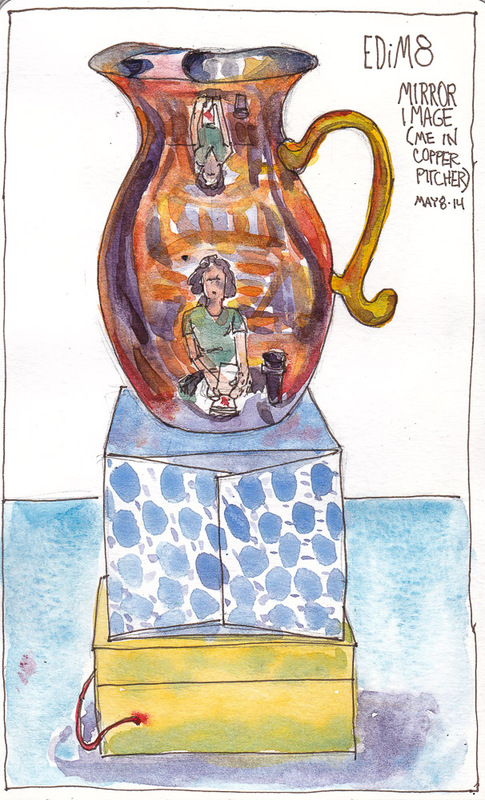 I had to stack the pitcher on top of a box of kleenex on top of a box of rubber stamps. I drew this in pencil sitting outdoors at a little round table in the sun. 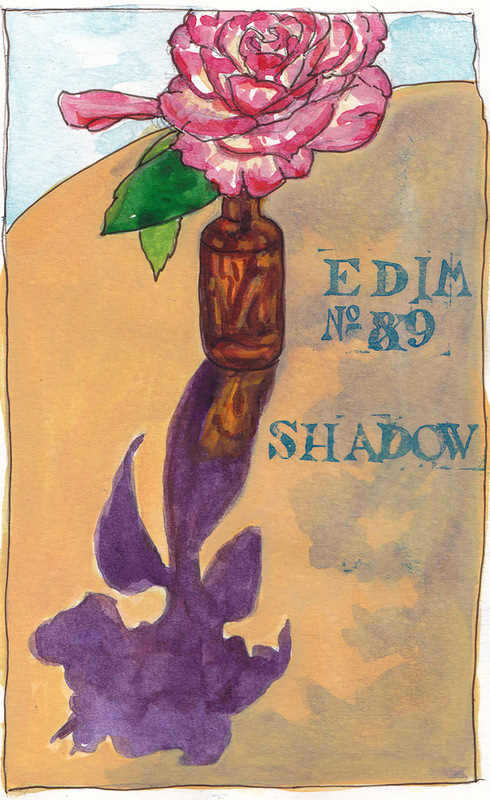 I sketched in the shadow of the flower and painted everything with watercolor. By then the sun had moved and there were more shadows so I painted them in too. I didn’t like the way it messed up the composition so I brought the sketchbook into the studio and painted over table and extra shadows with gouache. It only partially hid the “mistake” but I decided I liked the way there’s a shadow of a shadow showing through. I used rubber stamps for text on the page but got that wrong too (9, not 8) so just used the X stamp to cross out the 8. I love work that is fresh and just right on the first pass. This isn’t that, and shows a bit of the struggle. Sometimes that just makes things more interesting.